On October 24th people all over the world came out to demand that the negotiators and governments at the Climate talks in Copenhagen act to cut greenhouse gas emissions and get us back below 350 parts per million CO2. 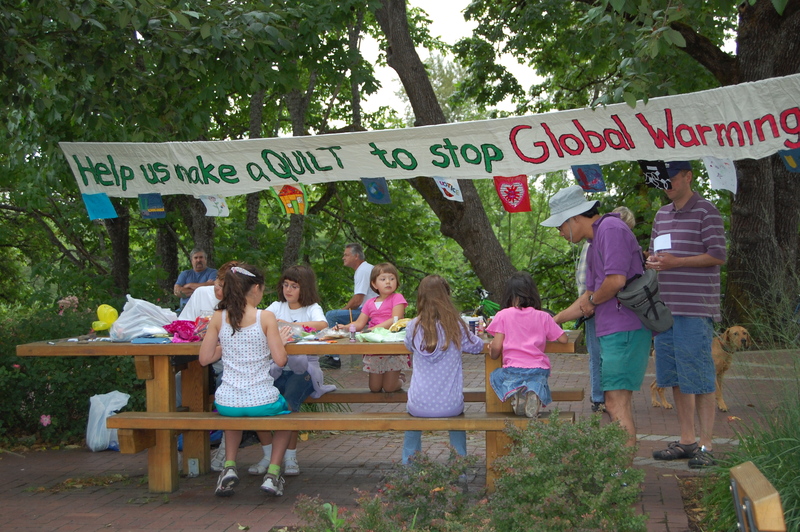 There are some very beautiful pictures of the events – more than 5200 actions in 181 countries – on 350.org. 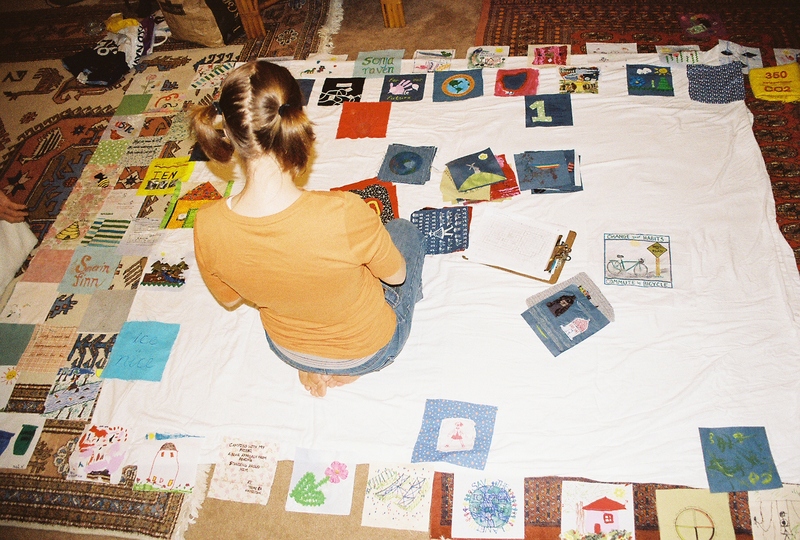 I was in Bakersfield with family, and we were just setting up the quilt when someone came by and was inspired to be in the picture. 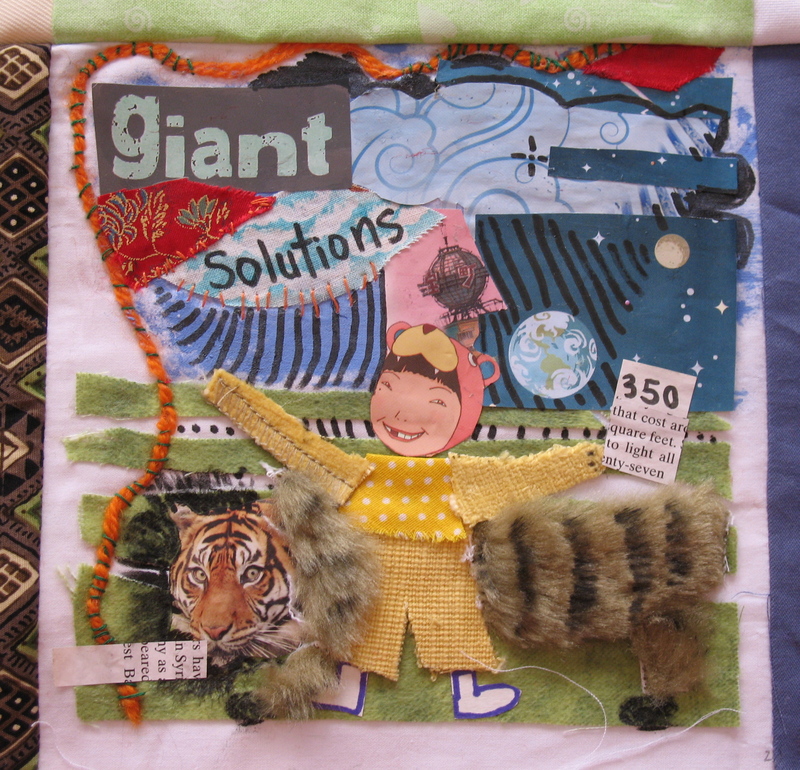 The Solutions to Climate Change Quilt enjoyed a warm welcome at the national day of action today. 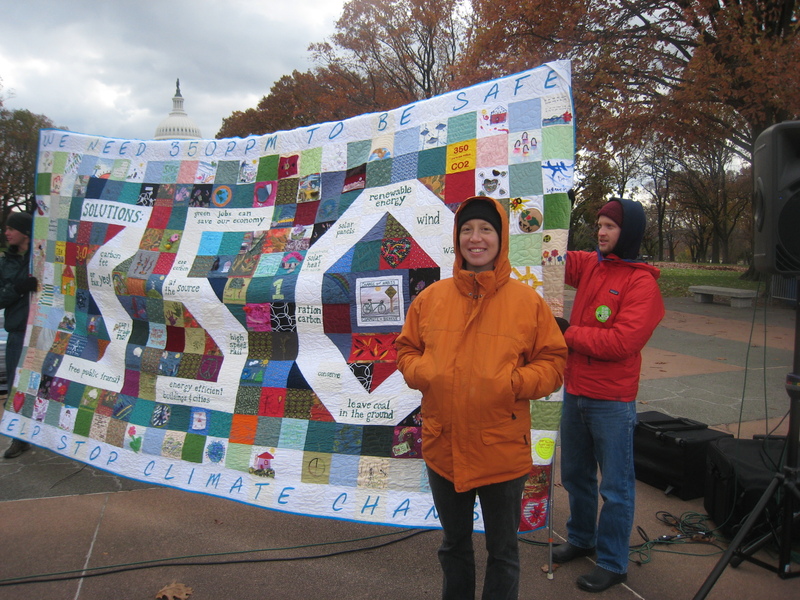 I met folks from 1Sky and 350.org, including Bill McKibben, and they were all impressed with the quilt and very happy that I had come out. It felt really great. 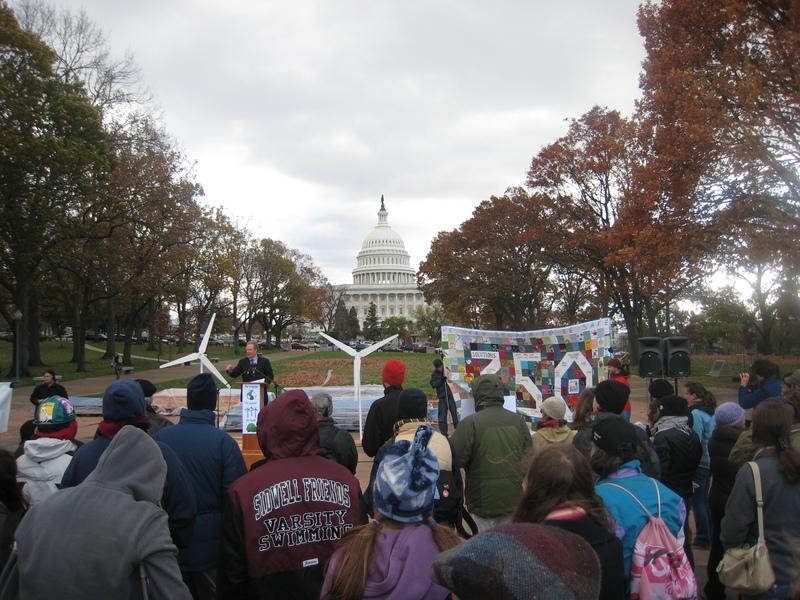 After the rally people went to give giant postcards to all the members of Congress, asking them to make climate change a priority in 2009. Unfortunately no one was available at the Obama transition team – apparently they were all out meeting with their respective departments. 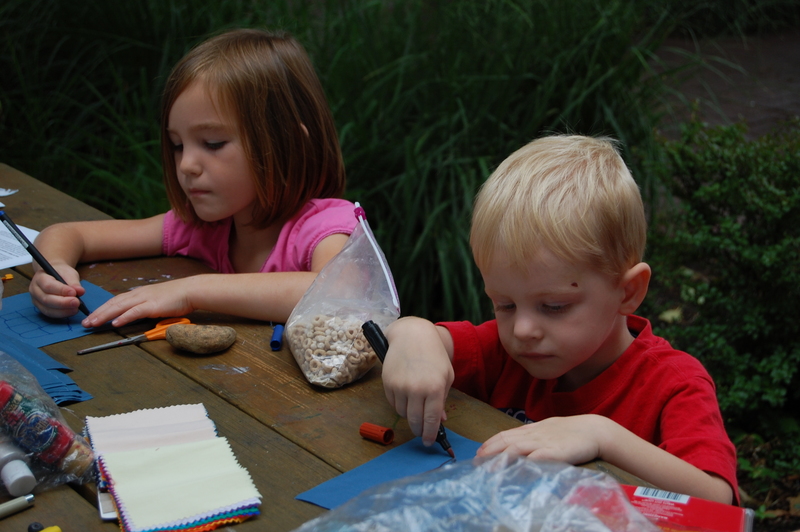 So 350.org volunteered to bring them the framed photograph of the quilt and letter I wrote to Obama (see Letter to Obama). It was a very cold and windy day (it snowed a little), and my cousin Micah and his friend got quite a bit of exercise trying to hold it up. 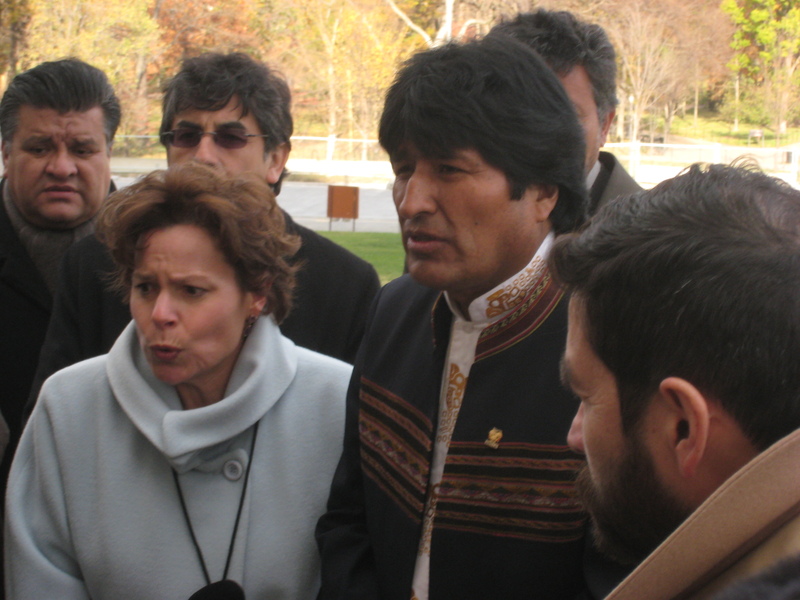 After the rally was over Micah and I were joking about putting the quilt on the knees of the Lincoln memorial, so we walked over there, and ran into Evo Morales, President of Bolivia. He spoke about slavery and the hope for justice for marginalized peoples. It was an amazing day overall. 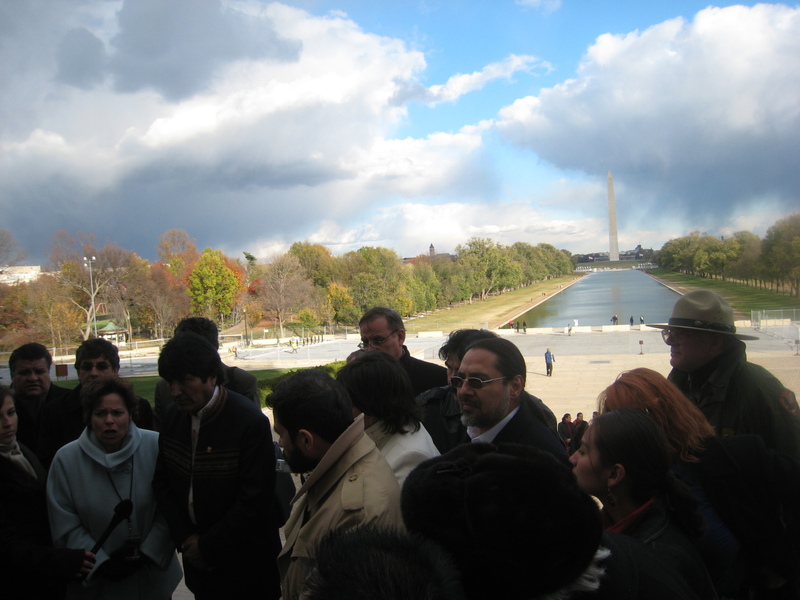 After leaving the Lincoln memorial I got a call from a television producer in the Bay Area who wanted to do a segment on the quilt – so I was on live from DC the next morning on “Mornings on 2”. I’ll be posting the video when I get a chance, so you can see my first 4 minutes of fame.